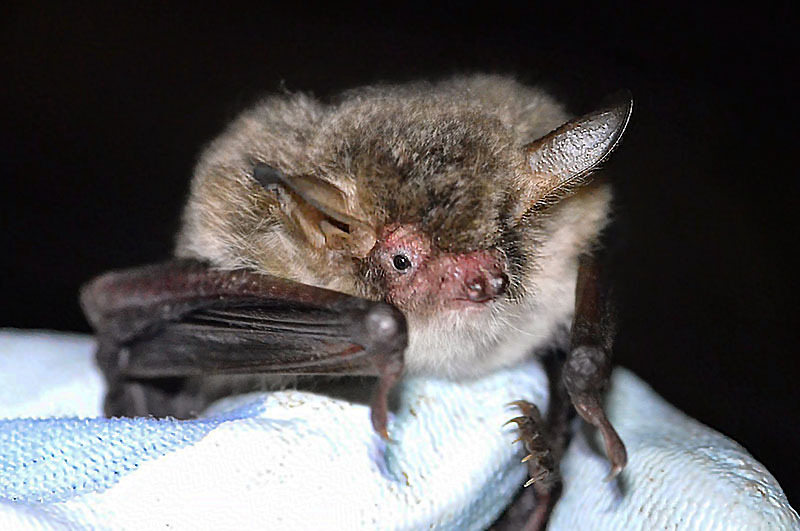 This medium sized bat is often found in woodland, especially in areas close to water. It is a scarce bat in Nottinghamshire but is found throughout the county. Like the Daubenton’s bat they will feed over water which will cause identification problems, but they generally fly higher, hunting a metre or so above the surface. The Natterer’s bat will also feed in very confined places, underneath bridges for example. Summer roosts are in buildings, trees or bat boxes with the winter spent in caves. Roosts in old building are often in the gaps between timber joists. © Nottinghamshire Bat Group. Not to be reproduced without written permission. Each dot represents either a roost, a grounded bat or a bat detector record where the call has been identified to a good level of certainty.